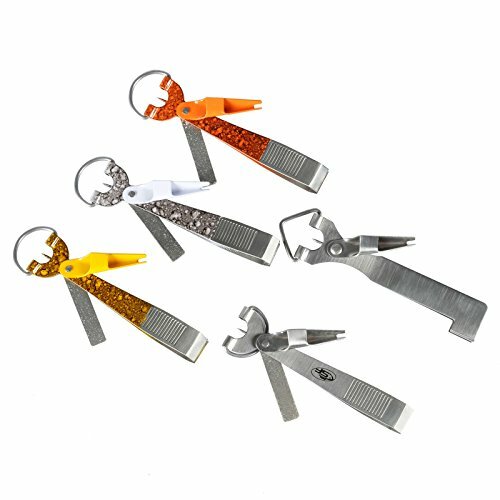 The SF 4 in 1 Combo Tool combines the SF Knot Tyer with a heavy duty line clipper, an eye cleaner, a hook sharpener and a D-ring to use for easy attachment. The knot tyer will help tie a variety of knots including the nail knot. The clipper jaws are razor sharp and can be re-sharpened. 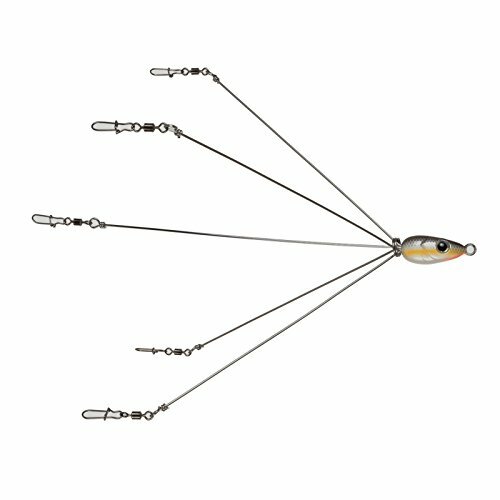 This tools finish is the dull silver stainless steel which doesn't have glare that could spook weary fish.